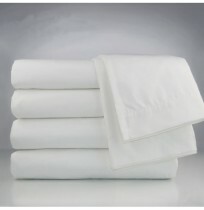 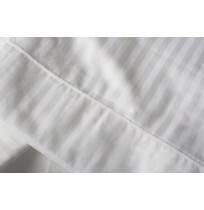 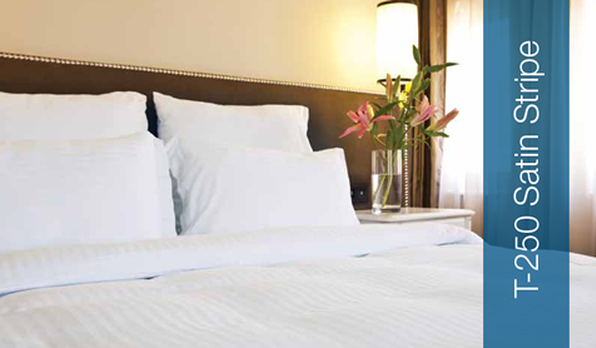 These T-250 Hotel Sheet Collections offer high durability for easy laundering. 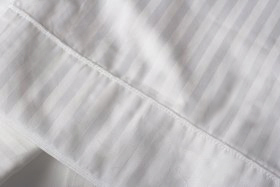 Choose from T-250 tone on tone Sheets, stripes, and various white pattern designs. 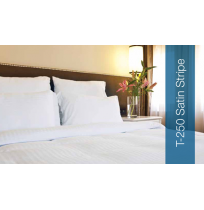 Most tone on tone stripe sheets are T250, but some are offered in T200. This is considered a luxury product, but the reverse blend offering is durable enough to establish that upper middle tier experience.